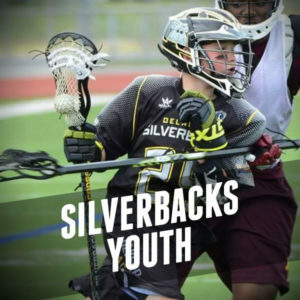 In early 2010, Newark Youth Lacrosse merged with the Delaware Silverbacks Lacrosse – a premiere high school boys tournament program that competes in select summer and fall tournaments in and around the Mid-Atlantic states. The tournament programs are under the directorship of Christian Zwickert. A native Delawarean and well known lacrosse athlete and former NCAA D1 and D3 lacrosse coach who turned around several college lacrosse programs that consistently had winning seasons during his tenure, Christian has worked closely with the youth coaching staff as Director of Coaching & Program Development to impart his wealth of lacrosse knowledge and aid in developing sound practice plans, coaching strategies, manage our summer tournament program and other administrative duties associated with running the club. Coach Kevin Dempsey, Sr. directed the program for over 23 years before his passing in August of 2016. Christian Zwickert will be directing all aspects of the youth and high school programs for Silverbacks. Our Goals and Philosophy at SYLA – Philosophy is “Teach Not Tell” with goals to provide a safe, fun and positive environment that fosters good sportsmanship and citizenship while learning the skills necessary to play the great game of lacrosse.